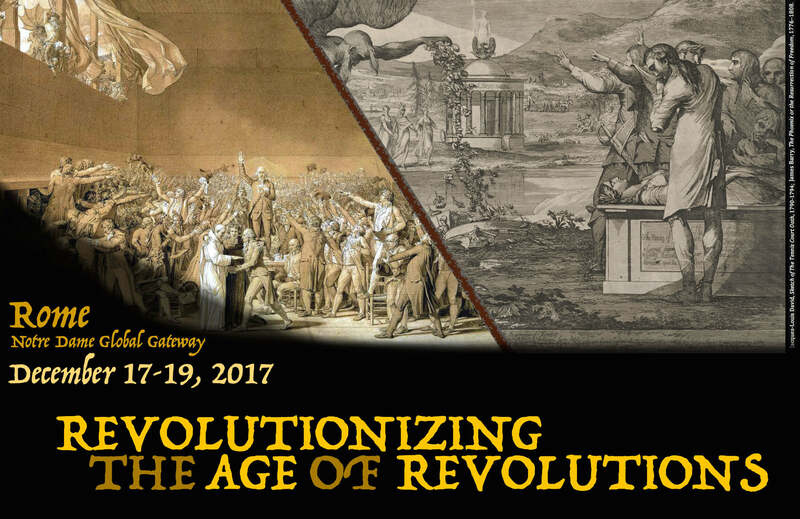 This conference deals with one of the seminal periods in Western history; the Age of Revolutions. The term ‘Age of Revolutions’ is a familiar one, but what does it mean today? We believe we are at an important moment for the history of the Age of Revolution since one of its most influential texts – R.R. Palmer’s The Age of the Democratic Revolution: The Challenge – will mark sixty years since its publication in 2019 and the historical framework he constructed is in a time of great ‘revolutionary’ change itself. With this conference, we want to gather the best scholars of the Age of Revolutions to take stock of the state of the field, discuss what are the appropriate frameworks through which to understand the Age of Revolutions, and to elaborate a new vision of the Age of Revolutions; one that takes into account new regions, currents, and methods that have emerged in recent years. New research into fresh areas of historical enquiry and multidisciplinary approaches has served to both strengthen and weaken the relevance of the concept. As the impact of the ‘transnational turn’ becomes more clear the older binaries of ‘revolution and reaction’, ‘external and internal,’ as well as ‘empire and nation’ have become increasingly obscured. What will be the new yardsticks for the period of political, social, and economic turmoil in the late eighteenth and early nineteenth centuries? The purpose of this conference-workshop is to work towards understanding that challenge and opportunity. It will focus on the new research being offered by emerging scholars alongside the pathfinding works of distinguished academics in the fields of Early American, Latin American, European, Atlantic, and Global History. The ultimate outcome of this conference-workshop will be a more cohesive vision of the Age of Revolutions led in tandem by early and established scholars in their respective fields. By cementing the works of established practitioners with early-career scholars we hope to forge a clear vanguard for research that sustains a more coherent future for the history of a complicated period. Sponsored by the History Department of the University of Notre Dame in collaboration with the History Department of the University of Edinburgh, with the support of the Institute for Scholarship in the Liberal Arts and the Nanovic Institute for European Studies of the University of Notre Dame.